In the age of online ordering, there are so many amazing subscription services. Meals sent directly to your door. Clothing and makeup kits customized for your personal taste. Even vitamins specifically made for your individual health and body type. One thing that isn’t worth it is subscribing to mom guilt. That feeling that you and what you are doing for your family isn’t enough. That you keep coming up short. That you don’t stack up to the seemingly “perfect moms”. In the past, I’ve struggled with this immensely, especially when I was a first-time mom. There is so much judgment in (and out) of the parenting community based on how your children behave or how you interact with your children in public. I remember being so concerned about what people were thinking when I handled my son as a baby. If he was crying, would they think I was a bad mom because he had an unmet need? Then as he got older and had a tantrum, was it my fault? Was I doing something wrong? Now in my 4 and a half years of parenting and two kids later, I am no expert. I started writing this blog during naptime and one of my kids woke up and had a major meltdown because I told them ‘no’. 🤷🏾‍♀️ That aside, I’ve learned some things since I first became a mother. Number 1: Babies & kids cry. It’s a fact. My job as a parent is to make sure they are taken care of and not necessarily happy all the time. There’s a big difference. Number 2: My child’s behavior is not a complete result of my parenting. Generally, my kids’ mind because of how I have trained them to behave at home. However, they are also individuals with free wills and sometimes they throw fits. Lord knows my kids have embarrassed me so many times whether it was falling out because they didn’t want to leave somewhere fun or weren’t getting their way. But that’s kids. If someone says that their grown kids NEVER did such and such back in the day they are either lying or have a selective memory. 🙄 If you are not a parent, you don’t know about the daily ins-and-outs of raising children. I remember pre-kids that I had such a strong opinion about kids and their public behavior and that my kids WOULD NEVER do x, y, and z. Now as a mom, I’m pretty sure that they’ve done all of that and then some. I’ve learned in the last year to be more confident in who I am as a parent. Not because I’m the greatest mom ever but because I’m doing my best with what I’ve learned and have never-ending grace from the God that I serve who is there for me whenever I fail (which is semi-often). I’m not perfect and still have my moments when I feel bad about something but I’ve learned to be easier on myself and let things go. It isn’t beneficial for me or any of my family members when I stay in a place regret over something I did or didn’t do. 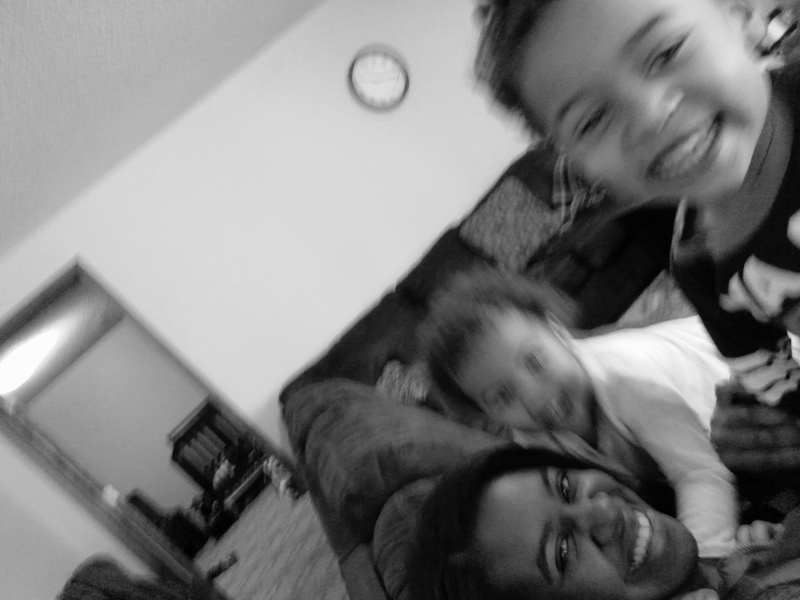 When I look at the little blurs in this picture with me, I know that they are generally happy, healthy, and loved. That overwhelms me with peace. I couldn’t ask for anything more for them.